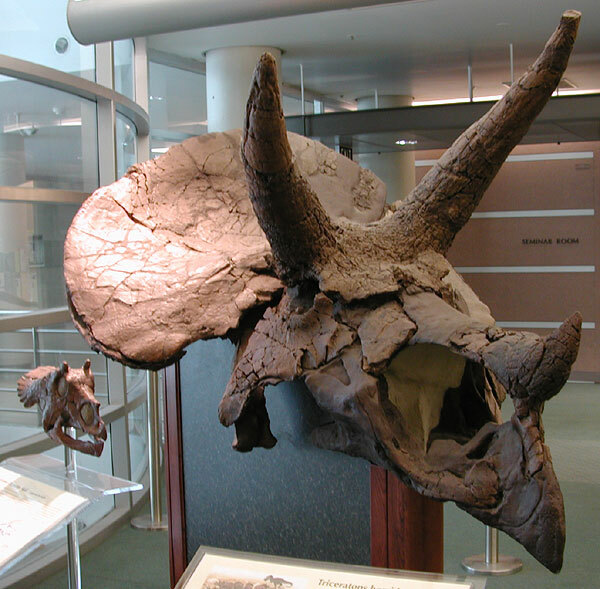 Berkeley  With its big, hockey puck-sized eyes, shortened face and nubby horns, it was probably as cute as a button  at least to its mother, a three-horned dinosaur called Triceratops that could weigh as much as 10 tons and had one of the largest skulls of any land animal on the planet. Library. The actual skull, also at UC Berkeley and in fragments, was described by campus paleontologist Mark Goodwin in the March issue of the Journal of Vertebrate Paleontology.